We escape, we hide, we withdraw whenever there is a confrontation. Sometimes, we play along, agree even if we disagree just to avoid an argument with someone. Seldom will INFJs be the first to confront others. We would rather door slam someone than waste our energy ironing out our issues with them. When we are cornered or pressured to deal with the conflict before we are ready to do so, it might trigger our anger and the dark side of our INFJ personality will come out. So INFJs tend to avoid conflicts as much as possible. However, conflicts are inevitable. They are everywhere. There are conflicts in our workplace, relationships, and family. We can’t run away from conflicts forever. In fact, avoiding conflicts might make things worse. In order to grow, we must learn to embrace conflicts. But before we discuss how to do that, let’s understand why we INFJs have the tendency to avoid confrontations. Why INFJs Hate Confrontations and Avoid Conflicts? Due to our extraverted feeling (Fe) function, people and relationships are important to INFJs. We value group harmony and will do our best to keep our external environment peaceful. Any dispute feels like a threat to our Fe values because it can cause a dent in our existing relationships. In our mind, we believe that if we disagree with others, other people might get angry with us, abandon or reject us. Or even worst, we might hurt their feelings in the process. On the surface, confrontation seems to oppose harmony. So instead of confronting others and telling them what we dislike or disagree, we usually keep our opinions to ourselves and not put our relationships at risks. And it’s not that we are afraid of confrontation per se, we are afraid of disappointing the other person and destroying the harmony we have built with them thus far. Until we recognize our Fi blind spot and the value of conflicts, group harmony (Fe) is always more important than our personal needs and preferences (Fi). And we would sacrifice our needs or accommodate indefinitely just to maintain peace in our relationships. People who are in conflicts are usually emotional and agitated. They bring aggressiveness, frustration, impatient, and anger. Their tone of voice, their facial expression and the words they use change. Some of them raise their voice and they have this eagerness to prove that their point of view is right. Even though the other party might deny that they are being emotional, from an INFJ’s perspective, they are indeed emotional. Most of us are highly sensitive people (HSP) and we pick up on the slightest, subtle changes that the other person might not even recognize in themselves. People look threatening when they are arguing. Unlike some other personality types who don’t focus on the other people’s mood when they are having a conflict, we INFJs find it difficult NOT to notice or care about the change in emotions of the other person due to our extraverted feeling (Fe). Seeing other people angry makes us feel nervous, tense, uncomfortable and unsafe. We feel attacked by others when they confront us. Our natural Fe inclination is to agree with them or accept the blame just to ease their aggression and not provoke them further. If we are not present or conscious enough, we might also rub off their emotions and take on their anger. We lose our cool and our usual gentle disposition. We might even fight back. But when we get angry, it usually hurts us more than we hurt the other party because we feel so bad and guilty afterward for losing our temper. Both scenarios don’t make INFJs feel good about ourselves. So we INFJs usually avoid confrontations. INFJs are not necessarily bad at arguments. But it is difficult to explain our Ni insights to the rest of the world. Sometimes, we just find it pointless and a waste of our energy, especially when we are arguing with people who have fixed views and aren’t open to perspectives other than their own. Some personality types might get an ego boost or a kick from winning an argument. INFJs, on the other hand, are more receptive to another point of view or willing to let others win the debate and not challenge them. Why bother? What is the point of being right? He’s entitled to his own opinions. Why do I need to waste my energy and time to convince him? Even if he feels strongly about his views and I don’t agree with him, I just let him be. Conflicts can be emotionally draining for an INFJ, so we only stand up for things that truly matter to us. And when we do so, we can also become very stubborn and rigid. Another situation that INFJs don’t like is when we are caught in a conflict between two people or office politics. INFJs often don’t like or refuse to take sides. We usually can see both sides of the argument. We want people to stay in harmony and not be the one to determine who is right or wrong. If both parties are adamant about being right and ask us to be the judge, some of us might not want to deal with this kind of drama. How Avoiding Conflict Can Harm an INFJ? INFJs avoid conflicts with others so that they can maintain harmony. But the irony here is avoiding conflicts tend to make things worse. When conflicts are not addressed and dealt with early or in the moment, the problem can escalate into something bigger that is harder to resolve in the future. We INFJs often think that we are more tolerant than we are. We are not always in touch with our own feelings and personal preferences (due to our weak Fi). So we tend to accommodate and give in to others. But there will come a time when we can’t take it anymore and suddenly we find ourselves exploding in anger. People are then taken aback by our anger because our dislikes weren’t communicated clearly to them beforehand and they might feel hurt or offended by our sudden, emotional outburst. You don’t say it doesn’t mean that you don’t feel it. 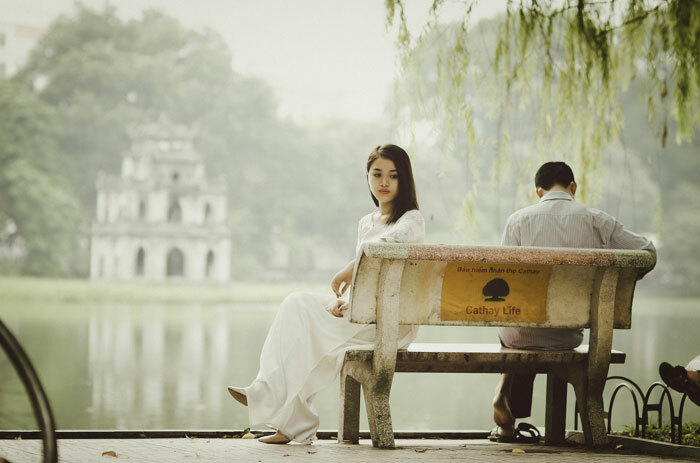 The worse is when both parties in a relationship are conflict-avoidant. When both parties don’t voice out what they truly want in the relationship and their desires don’t get met, resentment builds and their emotions get suppressed. There might not be any conflict in a relationship but the relationship might be dying a slow death without us knowing. There is a lack of deep connection when both parties are not open and honest to each other about how they truly feel. Avoiding conflicts doesn’t make the problems in our relationship go away. It only helps you to postpone the problems to a later date. When I was an auditor, I was too “nice” to the accountants. I didn’t want to disrupt their work so I would consolidate my questions and schedule a time that was convenient for them to go through my queries. Sometimes, I would even seek the answers on my own, so as to not bother them with silly questions and offend them. But this wasn’t appreciated by my seniors. I was perceived as having a lack of assertiveness and communication skills and one of my seniors marked my performance down because of that. From his perspective, I wasn’t efficient, proactive, and direct enough in my work. INFJs don’t do well with office politics and workplace conflicts. And it’s not just about the hostility. It’s also the challenges and difficulties we face in navigating these conflicts. If we’re too friendly towards people that our colleagues dislike or not fond of, they might distance themselves from us. Some people expect you to pick a side. You are either with them or against them. But INFJs can be social chameleons at times. To avoid conflicts and people-please, we adjust ourselves to individuals. When someone comes to us with an opinion, we agree with them and mirror back to them how they feel. When another person comes along with a different opinion, we do the same thing. We are empathetic and it’s easy for us to imagine what it is like for the other person. However, other colleagues might perceive us as being fake or two-faced. Or they might get annoyed with our agreeable personality. Once my INFP elder brother told me, “You know why you don’t have close friends like me. That’s because you don’t take sides.” I hate to admit but there is some truth in what he said. People bond faster and become closer when they have a common enemy. However, I value harmony and I’m usually good with everybody. Another thing about being too agreeable or conflict avoiding is people don’t know where you stand. When they don’t know what you think and feel about things, they start to make assumptions about you. Especially, when you don’t voice out what you dislike, people might think that you like how they have been treating you. Take this simple example from my friend. He received a call from an insurance salesperson and he told the person that he’s not free at the moment. The logical, next question from the salesperson is definitely, “When will you be free?” Because my friend didn’t give an honest, upright rejection, the salesperson assumed that he was interested in the insurance. Not everyone knows how to read between the lines like an INFJs. When we avoid conflict or drop sudden hints hoping that the other person would get it on their own, we give them the wrong impression. Sometimes, we have to be very clear with our boundaries so that others know how to treat us. From the other person’s perspective, there are too many uncertainties when they don’t know what you like or dislike. They always have to treat you with extra care because they are afraid that they might accidentally step over your boundaries and offend you. It’s too much work for the other person and not everyone is willing to put in the effort to figure out our boundaries. Boundaries that we might not even know that we have. From a health perspective, conflict avoidance is an unhealthy way to deal with problems. If we constantly lie about how we feel just to please the other party and avoid conflict, our body will soon catch on with it. When we suppress our true desires, we feel resentful. And prolonged resentment puts stress in our body. We are not allowing our body to truly feel what it wants to feel and the emotional energy gets stuck in the body. Sacrificing internal harmony for external harmony feels unpleasant. Even though external harmony is important to INFJs, internal disharmony affects our mental and physical health. When we agree with someone even though we strongly disagree deep down inside, there is a misalignment there and we have this unpleasant feeling of losing our integrity. This is particularly true for Enneagram Type 4 INFJ. We don’t like it when we have to lie to someone. It feels rather inauthentic. But being agreeable is so second-nature to an INFJ that it has become a habit of ours. Especially if the other person has strong opinions in something or overbearing personality, we feel so unsafe to share our views with the person that we just automatically succumb to their opinions. Later, we might blame ourselves for not standing up for what we truly believe in and being a pushover. Or we might feel misunderstood and alone in the long run since people don’t get to hear us express our true opinions. All these negative feelings that result from conflict avoidance aren’t very good for our health. So how can we overcome our conflict avoidance issues? How to Overcome INFJ Conflict Avoidance Issues? 1. Reframe what conflict means to you. Conflicts don’t always result in broken relationships or fights. Instead of seeing conflict as a win-lose situation where one party has to give in to another, see it as a win-win situation. Conflict means there is a difference in opinions. It is an invitation to problem solve with the other party and be on the same page. If you want this and the other person wants that, think of a solution that can satisfy both of your needs. Your role in a conflict is not to please the other, compromise or run away from the conflict. Your role is to resolve conflicts instead of avoiding them. Conflict is a test of our creativity and problem-solving skills. And INFJs can be very good in conflict resolutions. First, our extroverted feeling (Fe) allows us to see other people’s perspectives very easily. Second, our introverted intuition (Ni) helps us come out with deep insights and solutions. The world needs more INFJs and ENFJs (Ni+Fe dominant types) to harmonize different opinions and groups, resolve disagreements, and come up with a unified stand that binds various parties. This is the true essence of harmony. Avoiding conflict only gives us an illusion of harmony. It’s not the real deal. So use your INFJ gifts wisely! Furthermore, conflicts allow us to see the strength of our relationships. A genuine relationship can weather ups and downs. When both parties value each other, they will make the effort to understand each other and accept their differences. These relationships usually become stronger after a conflict. They grow. Superficial relationships, on the other hand, end as soon as there is a conflict, disagreement or misunderstanding. They don’t last. As an INFJ, you probably don’t want such relationships anyway. So you might as well assert yourself when you have to. 2. Learn to deal with your confrontation anxiety. INFJ has an imaginative mind and we care how our decisions affect others. This isn’t so useful when we have anxiety. We tend to over-imagine the impact that conflicts will have on others. Sometimes, I will spend days in my head trying to figure out the perfect words to say to another before I confront them. But when I did, it usually turned out fine. Most people don’t wish to offend others. When you speak up, people will know your boundaries and will do their best to respect your boundaries. As long as you approach the other person in a neutral manner and take your emotion out of the confrontation, conflicts generally will not escalate into a shouting match or something nasty. If there is any resistance or emotions that arise, deal with them as it comes. The key is not to project your anxiety onto the other person. Don’t assume that they will be angry or react in a certain way until you actually confront them and see their reactions. Also, don’t underestimate their ability to handle conflict. Negative expectations will only make you feel more anxious. Instead, keep an open mind and be curious. You don’t know how the other person is going to react and you are there to find out. If the other person resists your point of view, stop and notice your desire to back off. I know it feels super uncomfortable but stay with the feelings for a while. You might even be tempted to change your view and agree with the other person just to ease the tension and run away from the situation. Instead of doing that, reinstate your opinion in a calm and neutral manner and invite the other person to problem-solve with you. Perhaps you can change the words or angle you use in expressing your opinion so that the other party gets your perspective. If the other person continues to resist, repeat the procedure until he or she understands. It’s a great assertiveness practice. But be mindful that you are not trying to get the other person to support your view or prove that you are right and they are wrong. You are getting them to understand that your point of view that’s all. It’s okay to agree to disagree. 3. Assess the level of safety and receptivity. The above method can be useful but a lot has to depend on the person you are having a conflict with and the state of mind they are in. If you sense that the other party is overly emotional, then reinstating your opinion probably won’t work. They won’t be able to hear you when they are clouded with emotions. This is very different from conflict avoidance. You are not running away from the situation. Instead, you are telling the other person that you want to resolve the issue with them but you need some down time to process the problem. If you just avoid the conflict and walk away, the other party might get angrier and mistake that you don’t care about them enough to resolve the problem with them. Always protect yourself from potential danger. Overcoming conflict avoidance doesn’t mean that you’ll be the receiving end of an emotional outburst or verbal abuse. It’s important to assess the level of safety in every situation. If you feel unsafe around someone during a conflict, get up and leave. Don’t engage with them anymore. This has nothing to do with conflict avoidance. This is self-protection. You care about yourself enough to establish your boundaries with someone and protect yourself from harm. If you have been avoiding conflict your whole life, then start with someone you feel rather safe with. Select people and friends who wouldn’t judge you or leave you just because you have a different opinion. Speak up and let them know what you truly think and feel. Once you have enough practice, then you can move on to other people who are more difficult to deal with. Both internal harmony and external harmony are important. I’ve been through a situation where I let the other person bullied me into doing something that I don’t want to do. It’s not a great feeling at all. I felt like a doormat when I chose to avoid conflict. Even though the next day, I was able to stand up for myself and reject the other person, the damage had already been done to my self-worth. It’s very important to be true to yourself and have integrity. If we continue to please others while a part of us feel resentment, not only do we sacrifice our integrity, we also create internal disharmony. Of course, we can blame the other party for inflicting pain on us and continue to be the victim in the situation. But I feel that the bigger issue here is that we need to learn to value ourselves. If you don’t stand up for yourself, who will? I’m very fortunate that sometimes I have people such as my family members and friends that stand up for me while I froze and allowed others to be rude and nasty to me. But we can’t always depend on others to help us. As INFJs, we value harmony. I get that. But it’s time to change our old beliefs. Our relationship is not more important than us. We are equally important (if not more important than our relationships). We are allowed to leave when someone forces their opinions on us. We are allowed to stand up for ourselves and tell the other party that it’s not okay. Don’t wait till you can’t stand it anymore and then explode and lose it. Assert yourself consistently. Assert yourself even if you are afraid. Not because you want to be right or have things your way. It’s not about the outcome. It’s not about picking a fight. Do it because you value yourself enough to let your voice be heard.